Are you trying to find a villa or apartment in Croatia that has availability for the May Half Term ? Here is the place to look! Properties book up quickly in Croatia for popular dates and flights are cheaper the earlier you book so call us now to find your Croatia Gem and we'll help guide you to a great summer holiday family villa! Slatine Bay is one of our favourite locations with its laid back feel & ample beaches with convenient water taxi & village restaurants. An absolutely fantastic location in one of our favourite places on the Dubrovnik Riviera. With sea views, Villa Juliette is located near the village of Slatine, 10 minutes drive from the historic town of Trogir. This delightful new villa has just been completed to a high standard, designed as a bungalow, it’s just metres from the azure sea, and within easy reach of Korcula Town and lots of beaches. "Omg the holiday apartment was amazing"
Apartment Lux is just 1km from Trogir Unesco World Heritage town and the sea, beach, restaurants and shops are all within a short walk. Villa Florabunda is an amazing property within easy reach of Dubrovnik old town - it’s a totally private estate with the gardens surrounding it filled with olive trees, pines and Mediterranean flora, and everything designed to make your stay extra special. "The villa is simply stunning and finished to a very high standard..."
Villa Nightingale is located in a small village of Plat, between Cavtat and Dubrovnik - you will love this place because of its beautiful views, spacious interior, the relaxing ambience and the large swimming pool. "Our holiday went really well - The villa was just as described - the pool was excellent and the sea swimming was as advertised only 80 m away"
Villa Pearl is a fully equipped, air-conditioned holiday villa just 80 m from the sea and with sea views towards Trogir and Ciovo island. "We had a lovely time thank you - the villa was wonderful"
This lovely new villa is situated in the pretty bay of Marina just 10km from the Unesco Heritage site of Trogir - it has wonderful sea views & is only 400m from the beach. Pamper yourselves in this stunning and elegant villa is located in the Burag area of Hvar Town, the area which forms the historic core and the very centre of the town, yet only 50 meters from the sea and the main town promenade. Villa Sea Rose is just a 15 minute drive from busy Hvar town and is part of a private national park area - the park is accessed through a private electric gateway and there are only six establishments within the park, so a real oasis away from the hustle & bustle – no one can enter this area without an invitation! Villa Marina is right on the seafront in lovely Milna Bay - recently completed in 2017 to a very high standard, this stunning, luxurious 5 bedroom villa gives you terraces and balconies on which to relax with a glass of local wine as the yachts pass into the marina, or perhaps just spend your days lazing beside the 42m2 of pools with a swim jet, separate whirlpool and children’s pool (happy children means relaxed parents!). Villa Romantica is located just 2 km from the centre of Supetar on Brac, in a beautiful secluded bay - enclosed by farmland, with olive groves and vineyards, organically grown fruits and vegetables for guests, Mediterranean vegetation and plants. Villa Godi Star is situated in a gorgeous & peaceful spot, just 30 metres from the sea, on the edge of pretty Sumartin Bay. Villa Bianca is a beautiful, modern villa located in a stunning position not far from attractive Milna Bay and the attractive port of Supetar is also within easy reach and has plenty of restaurants and beaches. Villa Tallula is situated in the picturesque village of Sumartin on Brac which has plentiful beaches & nice little restaurants. Villa Cherry is a traditional Dalmatian stone house in the centre of the picturesque village of Povlja; it has clean modern facilities, having been renovated in 2012. Villa Milena is a charming traditional Dalmatian stone house, which was completely renovated in 2009 - situated in the centre of the picturesque village of Sumartin on Brac. Set in the middle of the charming village of Mirca, Villa Bakala is just a short walk to the beach and a lovely restaurant, or a short drive 5-10 minutes to the centre of Supetar with all its facilities and ferry port. "Just a quick note to say that we had a great time at Villa Imara.."
Villa Imara is located in Milna on the west part of the island of Brac - it is situated in a peaceful pine forest, 200 m from the village centre with a wonderful view of Milna and its marina. "The villa was great, thank-you, with a lovely pool, and good sea swimming just down the hill - we enjoyed our stay there, and Trogir is lovely too"
Villa Doriana is a superbly located on the beautiful island of Ciovo - this lovely villa is in a sunny position, and has recently been renovated. Villa Slavica is situated just outside the picturesque village of Milna on Brac Island - it has a super location and is a perfect family holiday house! Villa Silk is located on the beautiful beach in a small coastal village in the Makarska Riviera - it has been renovated to a high standard and commands a stunning position by the sea. Villa Lapad has recently been renovated and features four spacious bedrooms – 3 x doubles and a king ( which also has a double sofa bed ) and is suitable for the disabled – only one step up into the house and all doors are wide ( 80cm wide ) and hallways ( 90cm ). Are you trying to find a villa or apartment in Croatia that has availability for the May Half Term? Here is the place to look! Properties book up quickly in Croatia for popular dates and flights are cheaper the earlier you book so call us now to find your Croatia Gem and we’ll help guide you to a great summer holiday family villa! 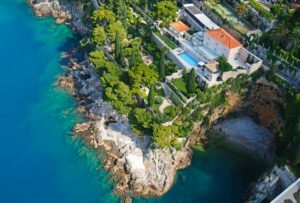 Croatia is one of the most popular destinations in the world right now and so Croatian holiday villas and apartments in Croatia are in demand! We have compiled this section so that you can see which villas and apartments still have availability. Do call us to book or reserve any properties that you like though as it is very busy. Most properties start booking up to a year in advance so they book up fast. If you’d like us to hold a villa or apartment for you, just let us know – we can reserve them for 48 hours for you while you look at flights and organise your group. 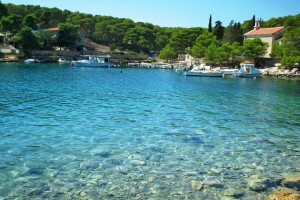 Croatia is well known for its unspoilt coastline and beautiful locations and we know all the areas well. Just ask us and we can point you in the right direction for the perfect place for you. Do feel free to call us for a chat and we can recommend some villas and apartments for you in the sort of location you want to have your Croatia holiday. Do you want a family villa in Croatia with pool? Or would you prefer a larger Croatia villas for a special extended family holiday? Maybe you a small family looking for that perfect beach side retreat or perhaps you’d like a family base to explore one of the areas or Croatian islands? We spend lots of time in Croatia and so we know all the areas and properties well so don’t hesitate to ask any questions you might have. We also have staff on the ground so if you have any special requirements or just need to know that extra detail, we know how important these things are and we will find out for you.